Talend Studio is the Eclipse based design tool, where you build your Talend Jobs. Our Talend Studio menu provides information on the various aspects of Talend Studio, starting off with an article on the Talend Studio Outline Panel. Whether you're using Talend Open Studio or the Talend Enterprise edition, all of your development will take place within the Talend Studio environment. 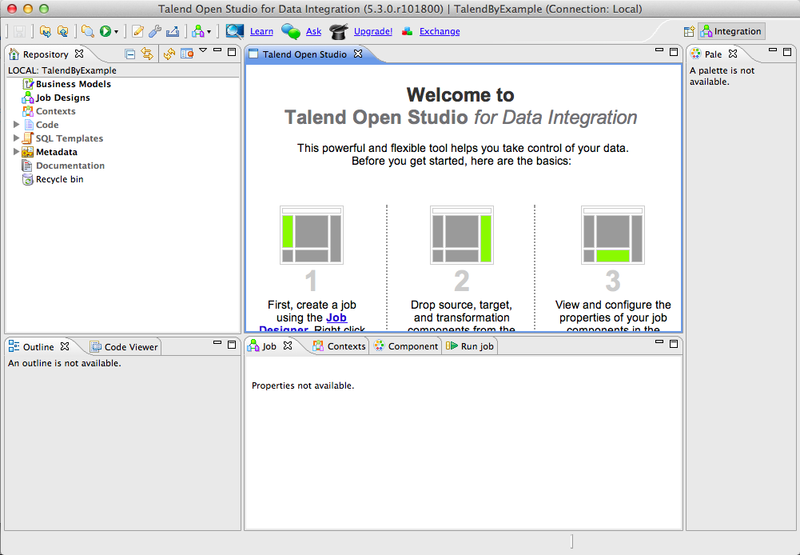 The following screenshot shows the Integration Perspective from Talend Open Studio for Integration 5.3.0.